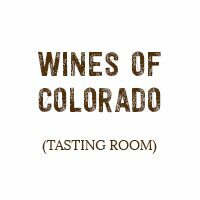 Located at the turnoff to Pikes Peak Hwy on Hwy 24 west of Colorado Springs, the Wines of Colorado offers the largest selection of Colorado wines in the state. Free wine tastings daily. Creekside dining at the grill.Located at the turnoff to Pikes Peak Hwy on Hwy 24 west of Colorado Springs, the Wines of Colorado offers the largest selection of Colorado wines in the state. Free wine tastings. Creekside dining. At the turnoff to Pikes Peak Hwy.